I have tried twice. During the first try I didn't do the upper ellipse wide enough and that's why the second try. 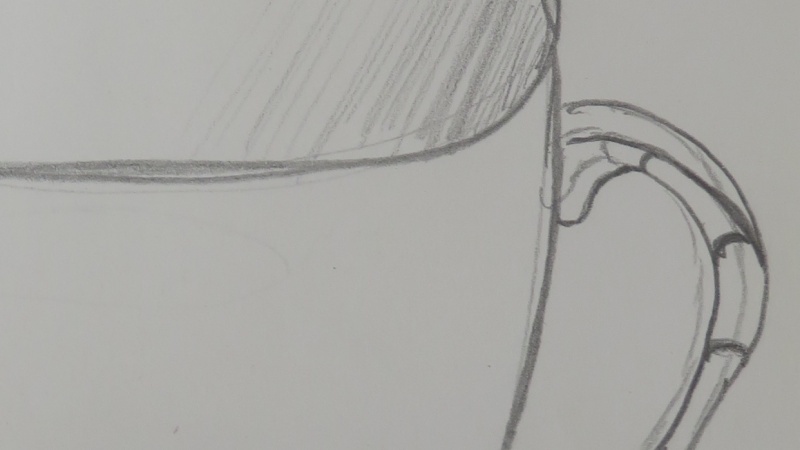 For both tries I began with a longer ellipse because of the shape of my mug which I used as a reference.